After opening Southern Conference play with 30- and 40-point wins, the Furman men's basketball team knew they wouldn't all be easy. On Saturday, the SoCon coaches' preseason favorite, Mercer, provided the big test the Paladins expected. In the end, the SoCon media preseason favorite, Furman, did what it had to do to pass. Daniel Fowler helped fuel a second-half rally with a personal run of 10 consecutive points to lead Furman to a 74-71 win over the Bears. It's the fourth straight win over Mercer for Furman (12-4, 3-0), the last three of which have been decided by a total of seven points. "It wasn't our prettiest performance of the year in a number of ways, but our guys dug deep late. A lot of times in a 40-minute game, that's what it comes down to," Furman coach Bob Richey said. "To Mercer's credit, I think they beat us to a lot of balls and rebounds for most of the night. They took advantage of their size and played more physical. "But in those last eight minutes, it changed. Once we were able to clean up the boards and get the loose balls, we played a little more simple offensively. That's when you saw the run take place and we were able to close it out." The Paladins held a 37-36 lead at the half before Ria'n Holland opened the second half with a jumper that gave Mercer the lead. The Bears held that lead for more than 13 minutes of game time. It grew to as large as nine with less than nine minutes to play when Furman began chipping away. The Paladins, who used a 29-0 run to blow out VMI last Saturday and a 17-0 run to blow out The Citadel on Thursday, had another double-digit run to get back in it against Mercer. Fowler's 3-pointer tied the game at 59-59 with 6:18 left. Fowler capped an 11-0 Furman spurt with a pair of free throws 34 seconds later. After Mercer came back with a Marcus Cohen layup, Fowler drove through the traffic and dunked to whip the Timmons Arena crowd of 2,002 into a frenzy. Mercer's Desmond Ringer tied the game on a layup before Fowler gave Furman the lead for good on a 3-pointer with 2:53 left. "It (the tying 3-pointer) was a great call by (assistant) Coach (Trey) Meyer. We confused them on the switch, then Matt (Rafferty) set a great screen and I was wide open at the top," Fowler said. "I just let it fly and made it. Through the course of that run, my teammates kept giving me great looks and made my job easy." Devin Sibley gave Furman a 68-63 lead with 1:21 left on a layup and a foul. He missed the ensuing free throw though and the Paladins missed two more in the final minute to allow Mercer to hang around. 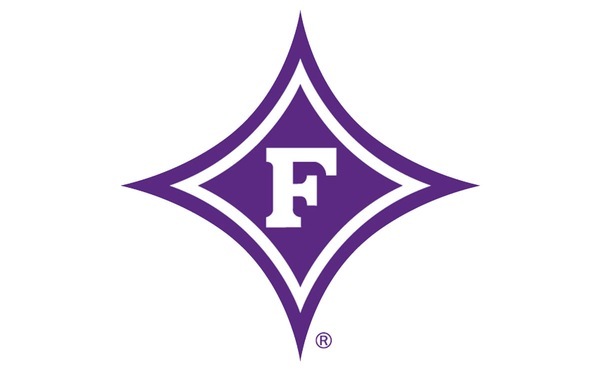 However in the final 17 seconds, Furman connected on all six of its foul shots - four by Fowler and two by Jordan Lyons. Fowler finished with a season-high 21 points, four assists, four rebounds and two steals, along with just one foul and one turnover. "Tonight, I think Daniel saw that it wasn't one of Devin's best nights. He saw that he was going to have to step up and boy did he," Richey said. "He was fantastic." Even though the bigger Bears had 40 points in the paint and won the rebounding battle 37-24, including 12-8 on the offensive glass, Furman had an 11-10 advantage in second-chance points. The Paladins also had 15 assists (on 25 field goals) and a season-low eight turnovers. Meanwhile, Furman forced 16 turnovers and had 10 steals. Two of those offensive rebounds came on the same critical possession that saw Furman's lead increase from 66-63 to 68-63. "I thought we played harder in those last eight minutes than we played the whole game," Richey said. "When it was a three-point game and they had the ball, Daniel looked at me and gave me a thumbs up like 'coach, we got it.' That's the confidence that we've seen this program start to play with the last couple of years. "We've beaten a lot of people in this league and we've won close games, so this team should have confidence in those situations. It's just fun to watch them gut another one out." Fowler was one of five Paladins in double figures for the second game in a row. Rafferty had 12 points, seven rebounds and three steals, while Lyons had 12 points and two steals off the bench. Sibley was 1-of-6 on 3-pointers, 0-of-6 from the foul line, had four turnovers and received quite possibly the worst charging call in basketball history, but still had 11 points and three assists. John Davis added 10 points and two steals for Furman. Ringer was 7-of-8 from the floor, 8-for-8 from the foul line, and finished with a game-high 22 points and seven rebounds for Mercer (7-8, 0-2). Holland, who entered Saturday averaging 21 points per game and converting an NCAA-best 58.2 percent of his 3-pointers, was 0-for-6 beyond the arc as the Bears hit 3-of-17 3-pointers overall. Holland had 11 points, seven rebounds and six assists, but didn't register in any of those categories over the final 12:20 of the game. Furman returns to action Wednesday at Chattanooga at 7 p.m.